Type %AppData%\Microsoft\Sticky Notes in start menu search box or run and press Enter. Copy StickyNotes.snt to your backup folder. 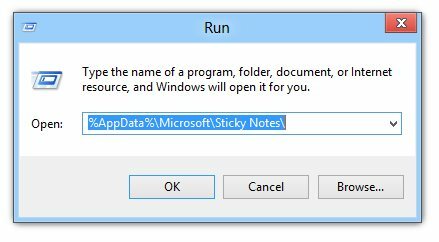 After you have copied it, if you want to delete your existing Sticky Notes, delete the StickyNotes.snt file. Copy the StickyNotes.snt file from your backup folder and paste it in the folder that opens.